12/02/12: Toshach Miniatures is pleased to announce a new release in our FREE section. 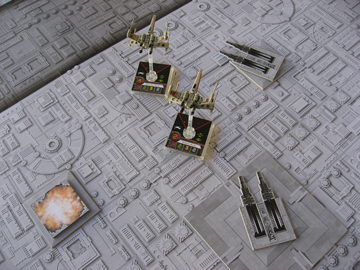 Its a Death Star Attack Prop set for use with Fantasy Flight Games X-Wing Miniatures game. The downloadable pdf files include: models of short and tall Turbo Laser Towers, Destroyed Tower markers, and Thermal Exhaust Port. All components have been created in “2D” for fast and easy construction, and so as not to interfere movement of the models. Click here for more information. 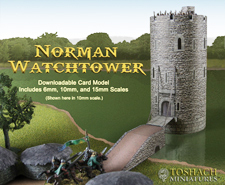 04/30/12: Toshach Miniatures is pleased to announce the release of the Norman Watchtower, downloadable card model kit which can be printed out in three scales, 15 mm, 10-12 mm, and 6 mm. Click here for more information. 08/22/11: Toshach Miniatures is pleased to announce the release of Junyo/Hiyo appliques for the Figurehead 1:6000 model ships of the same name...FREE! Click here to get yours. If you are thinking about looking into this excellent scale and line of ship models, then hopefully this will be an incentive for you to do so. Also, Stirling Bridge is now available as a free download. Though I modeled it after an artist's conception of the original Stirling Bridge, it works fine as any wooden bridge in a medieval or fantasy setting. Click here to get yours. 04/02/11: Toshach Miniatures is pleased to announce the release of Keep Out!, an urban terrain accessory pack for use with 28mm and Clix scale miniatures. For more information, click here. 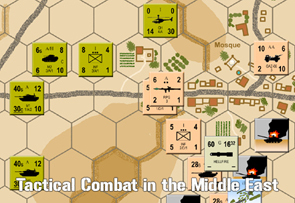 11/08/10: Toshach Miniatures is pleased to announce the release of Stryker Brigade, an expansion for Tactical Combat in the Middle East. For more information, click here. 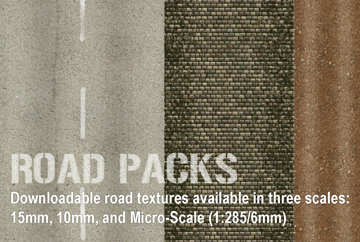 08/01/10: Toshach Miniatures is pleased to announce the release of ROAD PACKS, downlodable road textures in three scales, 15mm, 10mm, and Micro-Scale (6mm/1/285). For more information, click here. 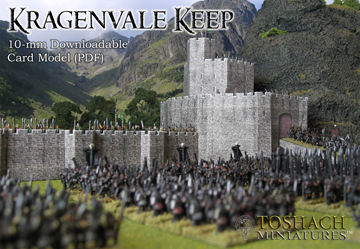 05/01/10: Toshach Miniatures is pleased to announce the release of Kragenvale Keep, 10-mm card model castle. For more information, click here. 12/05/09: Toshach Miniatures is pleased to announce the release of the micro scale (6mm, 1:285) Pegasus Bridge Card Model. Check out the WWII (micro scale 1:285, 6mm; 3D card models) section, or simply click the photo above to find out more. For more information on the Pegasus Bridge 15mm Card Model, click here. 09/13/09: There are two new additions to the Figurehead Deck Art line, Hiryu & Soryu, and Essex class. More will be coming soon. 08/09/09: Get those aircraft off the decks and into the air. 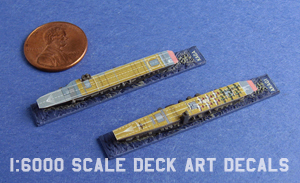 Just added are two Carrier Aircraft 1/2" counter sets for use with the Figurehead Deck Art line, one for the Japanese and one for the U.S. Check them out in the Figurehead section. 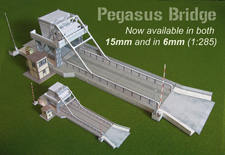 08/04/09: Toshach Miniatures is pleased to announce the release of the Pegasus Bridge 15mm Card Model. Check out the WWII section, or simply click here for more information. 02/11/09: There are two new additions to the Figurehead Deck Art line, Shoho, Zuiho, and Ryuho CVLs, and Yamato & Ise class battleships. More will be coming soon. 01/24/09: Some new releases have been added to the site. Check out the new PanzerBlitz expansion, Tactical Combat in the Middle East: Battlefield Iraq. This is the first release in what will be a series of modern expansions for the PanzerBlitz game system. You'll find it in the Games and Game Mods section. There are also two new additions to the Figurehead Deck Art line, Yorktown Class and Independence Class. If you are interested in 10mm Fantasy miniatures, there are shield and banner appliques here, free to download. Please take the opportunity to visit these friends of Toshach Miniatures. Site design © 2008-2011 Toshach Miniatures. All rights reserved. Toshach Miniatures offers a growing line of downloadable 3D Card Models, Decals, Accessories, and Game Variants.